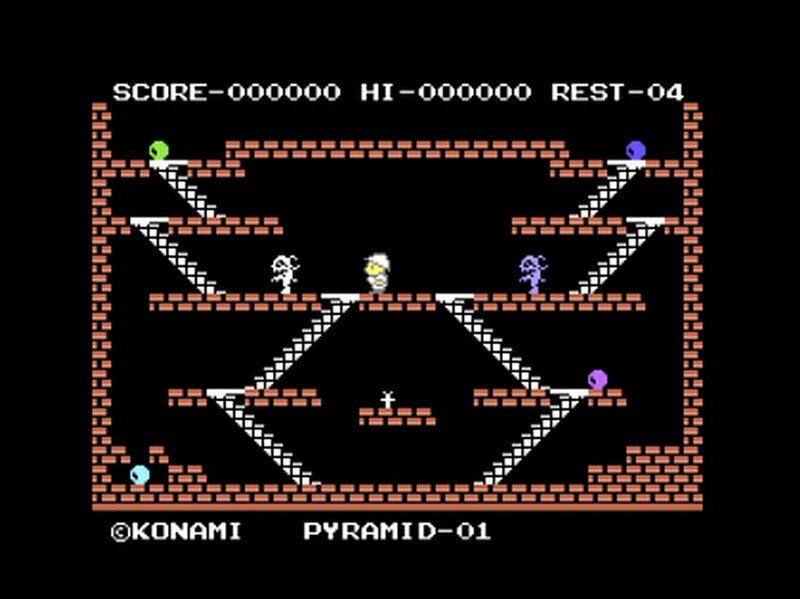 Indie Retro News: King's Valley - Konami's platformer coming to the C64 gets a new preview! King's Valley - Konami's platformer coming to the C64 gets a new preview! More hot news for you C64 lot, as we've just received a new preview version of an in development C64 game called ' King's Valley ', which is a port of the MSX version first released in 1985. Although the game did appear via MS-DOS in the 80's and as unofficial port in 2009 on the ZX Spectrum by RetroWorks, this game is being developed by rebitmagazine, and will once again put you in the shoes of an adventurer on a quest to collect gems while also avoiding angry mummies and other such deadly monsters! This game took us completely by surprise and we didn't even know of its existence until today, but what has been shown is a very decent looking port with not just the core gameplay intact but with cool retro sound effects to match. So when the game does finally arrive, you'll be visiting Pyramids, collecting treasure and if all goes well reaching that exit to complete the level!